Here's the all-time best natural remedies for a sinus infection and sinus headache that are guaranteed to give you fast and sustained relief from the awful congestion, pain, and inflammation... with no harmful side effects! Sinus infection or sinusitis is a horrible and debilitating condition that affects around 39 million people in the U.S. alone.1 It results when the sinuses in the nose (the body’s air filters) become inflamed and blocked, trapping the mucous and air that would normally be expelled. This in turn allows germs and other harmful organisms to enter and grow, causing infection. A pressure build up also develops which produces severe and even excruciating pain in the nasal passages and surrounding areas. 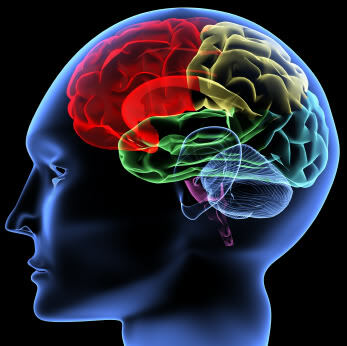 In fact, many sinusitis sufferers report that their head becomes so “pressurized” it literally feels like it’s going to explode off their shoulders! Not very nice at all. There are two types of sinus infection you need to be concerned with; acute and chronic. Acute sinusitis (the most common type) can last for up to four weeks while chronic sinusitis can last for more than three months, and even persist for years. The most common triggers for a sinus infection are the common cold, allergic rhinitis (hay fever), nasal polyps (non-cancerous swellings that grow in the nose or sinuses) and a deviated septum (off center bone and cartilage that divides the nasal cavity). Typical signs and symptoms of sinusitis include; facial pressure and pain, nasal discharge and/or stuffiness, cough, headache, and loss of taste and smell. The medical profession would have you believe that sinusitis is a complicated problem and there is no cure for it. Well this is totally false! The main cause of a sinus infection (which we’ll share with you in a minute) is not complicated at all and once you fix this, you literally won’t have to worry about sinusitis again. But what are the medical options available for treating a sinus infection? Well, antibiotics, pain killers, decongestants, analgesics, mucolytics and steroids are the common pharmaceuticals prescribed by physicians. And although these may give you relief initially, they do come with side effects and also become less effective the more you use them. Eventually, it gets to the point where they actually do very little (you’ve probably already found this out for yourself). Then when all of these methods fail (which they inevitably do) the last medical option available is radical surgery. But surgery rarely fixes sinusitis, and in many cases, can even make things worse! (Just talk to anyone who’s already had the procedure). Many people who do opt for the surgery also require additional operations after to repair other problems and complications that develop as a result of the initial surgery. Someone with a deviated septum, however, can usually benefit from having surgery, but this procedure is typically reserved for patients with a badly crooked septum usually suffered from a severe broken nose or other acute nasal trauma. The bottom line here is none of the orthodox treatments available for sinus infections are much good, nor do they give you any lasting or real long term relief (to say nothing of actually curing your sinusitis). But I get the feeling you probably already know this and that’s why you’re here looking for some home remedies for your sinus infection. I’d be willing to bet that if you suffer from sinusitis (acute or chronic) then you also have a habit of catching just about every virus that’s going around, especially the common cold and flu virus, along with various stomach viruses. You will also likely struggle with allergies, food sensitivities and poor digestion, as well as suffering from other health disorders such as upset tummies, gas, bloating, diarrhea, constipation, and reflux. The fact is without a strong immune system you are going to keep getting sinus infections and other poor-health problems. What’s more, if you’ve regularly taken antibiotics or any of the other pharmaceutical treatments for sinusitis then you’ve actually made things worse because these treatments have the undesirable effect of lowering your immunity even more! 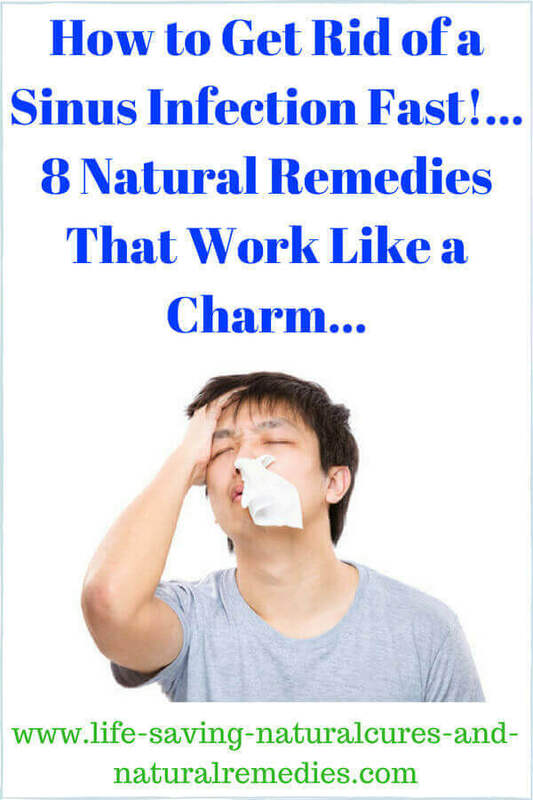 But it’s not all doom and gloom though because as you’re about to discover, you can fix all of this and you can fix it quite easily using natural treatments and home remedies for your sinus infection. Yes, you’ve definitely come to the right place to treat and get rid of your sinusitis! We want to let you know this straight up because what you’ll find here are 8 very potent internal and external treatments and home remedies for a sinus infection that really do work like magic. But you do need to remember something though, we aren’t just talking about treatments that will give you quick relief if you’re currently suffering from a sinus infection right now, we’re also talking about treatments that will get rid of your sinusitis and prevent you from having another one! Now while we list some excellent external remedies to help with your sinus infection (if you have one right now) it’s actually the internal remedies that are the real “meat” to treating and getting rid of your sinusitis for good. 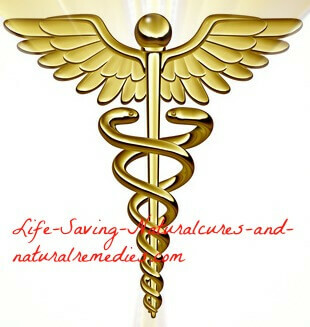 Also keep in mind that some of the natural treatments we list work effectively as both internal and external remedies. We will let you know which ones these are as we go. According to Chinese medicine, sinus infections and seasonal allergies are almost always related to gut and intestinal problems. This makes sense as 80% of your immune system is actually located in your digestive system. When you have an overgrowth of bad bacteria in the stomach and colon, your immune system cannot function properly or fight off any foreign invaders. The bad bacteria also take over and thrive in unlikely places such as your nasal passages, causing both acute and chronic sinus infections. If you have a sinus infection and/or any of the accompanying health problems we listed earlier, you will very likely have a toxic overload of bad bacteria in your body. So to kill off these nasty little creatures you need plenty of good bacteria (probiotics). The way it works is the “friendly” bacteria basically run the bad guys out of town then take up residence themselves… which is a good thing of course! In addition to this, certain probiotics (lactobacillus) produce hydrogen peroxide as a natural by-product. And hydrogen peroxide is a powerful bacterial killer and excellent remedy for sinus infections! (See our #8 home remedy). Now, I’m well aware that there’s going to be plenty of people out there saying this whole probiotics/sinus infection connection is an absolute load of codswallop. But I challenge you to follow our recommendations bellow on the “best ways to get your probiotics” and stick with them for at least 6 months solid and see for yourself. In fact, even well-known health advocate and author, Chris Kresser, strongly recommends probiotics for treating sinus problems and infections. So to silence the doubters and add further evidence to the whole good/bad bacteria theory for treating sinusitis, here’s a study that was published in The American Journal of Clinical Nutrition confirming the benefits of probiotics for reducing pathogenic bacteria in the nasal passages. Two quotes that are definitely worth highlighting from the report are… “These bacteria (bad bacteria) can cause infectious diseases such as sinusitis, pneumonia or otitis (ear infections)” and “The clinical relevance of the nose as a reservoir of PPB (potentially pathogenic bacteria) is often underestimated”. The title of the report also says it all… “Ingested Probiotics Reduce Nasal Colonization With Pathogenic Bacteria”. To get your daily supply of all-important probiotics, there’s two things you need to do. 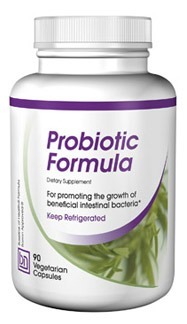 First, find yourself a high quality probiotic supplement to take every day (and follow the directions on the bottle). You can find these supplements in virtually every health food store, online shops, and even most supermarkets nowadays so this won’t be a problem. Secondly, you need to start making and fermenting your own probiotic rich foods such as coconut kefir, miso, tempeh and sauerkraut. These superb foods provide a wide variety of the important probiotics your body needs every day, not just for your overall good health and longevity, but for also treating and preventing annoying health problems such as sinusitis. Have a look at this terrific website, which gives you all the information you need to easily make your own probiotic rich foods… CulturesForHealth. In addition to this, you can also break open a probiotic capsule and using a clean finger, lie back and gently place the contents directly up the nostrils if you have a sinus infection right now and want some quick relief. Or as an alternative, empty the contents of the probiotic capsule into a neti pot with some warm, filtered water and a little baking soda and pour directly into the nasal passages. If you’re not comfortable with this or for small children, you can always use an eye dropper, bulb syringe or nasal spray bottle instead (two or three squirts up each nostril will usually do the trick). Doing either of these 3 practices before bedtime seems to work the best. Apple cider vinegar is another outstanding remedy for a sinus infection. It contains some powerful antimicrobial properties, which means it helps to kill off any bad bacteria and destructive microbes that may be lurking in your gut and nasal passages. At the same time, it also boosts and replenishes the supply of much needed good bacteria in these areas as well. The vinegar in ACV also helps to break up congested mucous and provides excellent relief from a blocked stuffy nose, while the rich potassium content helps to dry up a runny nose. So you actually get the best of both worlds! Now, when you go out and purchase your apple cider vinegar, make sure you only ever purchase the raw, unfiltered ACV that still contains the “mother” apple. This is extremely important as all other apple cider vinegars are processed rubbish and will not benefit you at all. Mix up 1-2 tablespoons of ACV with 1 teaspoon of Manuka honey in around 8 ounces of warm, filtered water. Drink this concoction 3 times daily 10-20 minutes before food. You can also mix 2 teaspoons of ACV in 6 ounces of warm water and using a neti pot or eye dropper, pour directly into the nasal passages. This may sting a bit for a few seconds, but it’s guaranteed to drain and clear your sinuses! The great thing about apple cider vinegar is its dirt cheap to buy and lasts for ages. As with the probiotics, you need to take ACV every single day from this point on if you want to not only treat your current sinus infection, but prevent further ones in the future. If you have trouble drinking the ACV (some people really can’t handle the taste) you can buy the apple cider vinegar capsules instead. These work just as well and most people find them much easier to get down than the liquid. 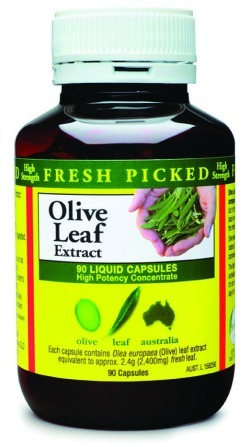 Olive leaf extract is probably the most powerful viral, bacterial and pathogen killer on the planet! And the speed at which it is able to dispose of these unwelcome foreign invaders is very impressive. OLE is also a strong anti-inflammatory agent (sinusitis is basically inflammation of the sinuses) and a very potent immune enhancer. Because sinusitis is caused from all of these, this definitely puts olive leaf extract on the “must have” list of remedies and treatments for this condition. In fact, olive leaf extract works so well for just about every health condition a certain pharmaceutical company (which I won’t name) even tried to get a patent on this miracle substance some years ago and claim it as a drug! (Without success of course). Now there are a few different potencies of OLE on the market at the moment, from regular strength to super strength (available in liquid or capsules). We suggest you go for the super strength varieties and avoid the regular strength. The regular strength is not powerful enough in our opinion so you won’t reap the full benefits and will likely just end up wasting your money. The best way to take OLE is on a 3 month on 3 month off “cleansing” cycle. Or if this is not financially viable for you then you can take it for 3 months then rest for 6 months before going back on for 3 months then resting for 6 months, and so on. For dosages, take the highest recommended amount listed on the bottle for full effect and benefit. Colloidal silver is yet another very powerful viral, bacterial and fungal eradicator. It’s actually one of the most popular remedies for a sinus infection because it works so well (usually within 24 hours). And if you have a cold or the flu virus accompanying your sinus infection the colloidal silver, combined with the olive leaf extract, will get rid of the virus in a matter of days (even hours in many cases), rather than weeks! Colloidal silver works in a similar way to olive leaf extract by binding to the protein structure surrounding the virus or bacterial infection, which then prevents it from feeding and replicating further. So by doing this, the infection is quickly contained, quarantined and killed! There are two ways to effectively use the colloidal silver. The first is internally. Take one teaspoon of high strength colloidal silver mixed in a glass of filtered water 5-7 times a day for 3 weeks. The second way is externally. To do this simply tilt your head back, and using a bulb syringe or eye dropper, place 3-4 drops of full strength colloidal silver directly into each nostril. Sniff the colloidal silver in if you can and let it drain down into your throat. All of these nutrients are potent remedies for a sinus infection for two basic reasons. Firstly, they help to reduce any inflammation in the body, including in the sinuses. 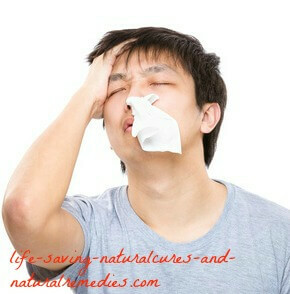 Secondly, they all help to boost your immune system, which you now know, is vital to treating and preventing sinusitis. So either go out and find yourself a good quality multi-vitamin and mineral complex with high amounts of these key nutrients, or purchase them separately in supplemental form. Also be sure to eat plenty of eggs (vitamin A and zinc), pumpkin seeds (zinc), chilli peppers and kale (vitamin C), cold water fatty fish (EFA’s) and get lots of sunshine (vitamin D)! Powdered cayenne pepper is much stronger (and better) than just the plain red chilli. Either use the powder in your cooking as much as possible or mix it in a smoothie every day. If this fails and the heat gets to you, play it safe and take the cayenne pepper capsules instead. In addition, you can either use a cayenne pepper spray or “snort” the powder into the nasal passages for fast relief. Although this works exceedingly well, it can also burn so this is probably best left unless you get to the desperate stage. 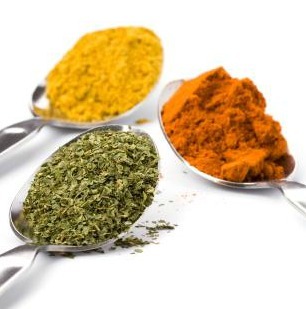 Turmeric: Turmeric contains a potent anti-inflammatory substance called curcumin. Curcumin doesn't just reduce the swelling and symptoms of your sinusitis quite quickly, it also gives your immune system a powerful and welcome boost. You can either mix turmeric powder in a smoothie or take the capsules. 500 mg’s twice daily is the recommended dose for best results. Garlic: You can never go wrong eating lots of garlic! It’s still one of nature’s best antibiotics, and as an effective remedy for a sinus infection, it works a real treat. Garlic contains allicin, a substance which is anti-viral, anti-bacterial and anti-fungal in nature. So whatever infections you have going on in your nasal cavities, garlic will clear them up quickly. Just make sure you eat fresh garlic (2-3 bulbs) by either cutting them up and taking with water or crushing them up and adding to your smoothie. Also use garlic in your soups and the rest of your cooking as much as you can. In addition to this, you can take 3 or 4 garlic cloves and soak them in water for 20 minutes before crushing into a garlic paste. Use this paste to inhale the vapors from the garlic directly into your sinuses for quick drainage and welcome relief. Oregano oil: Another excellent herb for getting rid of a sinus infection. The down side? The oil can be a little expensive. But if you want quick and sustained relief from your sinusitis symptoms, you really can’t go past oil of oregano (and it works virtually 100% of the time). There are two ways to use the oil. First, place a drop or two of the oil under the tongue mixed with a small amount of coconut oil (it doesn’t taste the best but you get used to it). Do this 2-3 times daily. The second way is to use it as a vapor relief. So what you do is bring a pot of water to steaming temperature (not boiling) then add a couple of drops of oregano oil. Drape a towel over your head and lean over the pot, breathing in the vapors through your nose. It works a treat! Cinnamon: This sweet tasting spice has been used for centuries to treat respiratory problems such as nasal congestion and sore throat. The chemicals in cinnamon have been shown to kill the harmful bacteria that causes sinusitis, along with reducing inflammation in the nasal passages so you can breathe more easily. Cinnamon is also terrific for breaking up and removing mucous from the sinuses. Mix ½-1 teaspoon of cinnamon with 1 teaspoon of Manuka honey in a glass of warm water or add it to your smoothie. Onions and Horseradish: Both of these are very good (and cheap) home treatments for a sinus infection. They are both high in sulphur (which is the reason why you cry when chopping them up) and contain strong antibiotic, antihistamine and anti-inflammatory properties. Be sure to use them in your cooking, especially soups, as much as you can. Also try chopping up a couple of small slices of onion and gently place them up your nostrils. Start breathing deeply and your nose will be clear in a matter of minutes! Ginger: Another great folk home remedy for colds and flu and sinus problems. Ginger is anti-mucous and anti-inflammatory in nature and also boosts the immune system quite powerfully. Use it in your cooking and make yourself a nice hot lemon and ginger tea for extra benefit and relief from your sinusitis. What you eat and don’t eat are both extremely important for preventing and treating sinusitis. All refined and processed foods should not be eaten, especially refined sugars and yeast containing foods (breads, alcohol, etc) as these feed the bad bacteria in your body. Also avoid mucous-forming foods including all processed dairy (milk, cheese, ice-cream and yogurt), flour products, fried foods and chocolate. If you regularly suffer from sinus infections, the last thing you need is extra mucous. For the foods you need to be eating more of, the basics apply. Plenty of fresh fruits, vegetables, herbs and berries including blueberries, raspberries and goji berries, and seeds including chia and flax seeds, along with healthy oils such as organic coconut oil and palm oil. And of course, eat lots of cultured and fermented foods such as coconut kefir and sauerkraut for your good bacteria and oily fish for essential fatty acids. Saline (salt) rinse: This one is the most used external cleanse and flush for sinusitis. Although it doesn’t actually get rid of sinus infections as such, it does clear the nasal passages and give you excellent relief, usually within 24 hours. Simply mix 1 teaspoon of sea salt or Himalayan pink rock salt and ½ teaspoon of baking soda in 1 cup of warm, filtered water. Using either a bulb syringe or neti pot (syringe works better), tilt the head back and gently squeeze the syringe or pour the mixture directly into each nasal passage. Allow it to drain out the opposite nostril or into the mouth but do not swallow. Make sure you spit out the mixture as this will contain bacteria and other toxins. Repeat this process 3 times daily. Betadine and Salt Rinse: This is just a turbo-boosted version of the standard saline rinse. And yes it does work even better! Just purchase some antiseptic Betadine from your local pharmacy (drug store) or online and add 5-7 drops to 1 cup of warm filtered water, along with 1 teaspoon of sea salt or pink rock salt and ½ teaspoon of baking soda. Use a bulb syringe or neti pot and flush out each nostril in the same way as the saline rinse. Repeat 2-3 times daily for best results. Hydrogen peroxide: Hydrogen peroxide is great for relieving the pain, inflammation and congestion caused by a sinus infection. In fact, it's one of the safest and most effective external treatments that's regularly recommended by many natural health practitioners. Because hydrogen peroxide is a powerful antibacterial agent, it quickly eliminates the infection as well as relieving the congestion by flushing all of the "gunk" out of the sinuses. If you have a cold or flu accompanying your sinus infection, you can also pour it into your ears to quickly clear up the infection and hasten your recovery. It works incredibly well! When using the hydrogen peroxide treatment, be sure to only use a 3% food grade solution (such as this one) and not the 35% industrial solution. Mix four parts filtered water to one part 3% hydrogen peroxide. 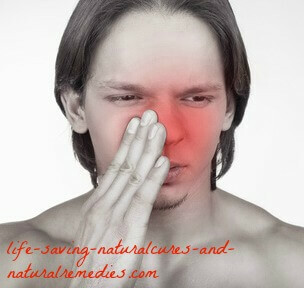 Flush the sinuses using a nasal spray bottle or neti pot 3-4 times daily (or as often as needed). For cleaning out the ears and relieving cold and flu symptoms, either pour or spray the pre-mixed solution directly into one ear and leave for 2-3 minutes before draining, or place 2-3 drops of the straight solution from the bottle into the ear. Leave for 2-3 minutes before rinsing, then repeat with the other ear. So there you have our top 8 home remedies for sinus infection. And yes, there are definitely lots more treatments out there you can try, but we’ve found most of them work on a hit-and-miss basis (usually miss). The recommendations we’ve suggested here are the “tried and tested” treatments for getting rid of sinusitis that are highly effective and proven to work fast. And like we said earlier, what’s really terrific about these remedies is they don't just give you excellent relief from your sinusitis right now, they also help to prevent further infections in the future (the internal remedies, that is). And that does bring up another important point. Don’t treat the internal remedies we list here like a prescription you get from your doctor. You don’t just take these until the infection is gone and then stop. You take these for the rest of your life! Of course, cost is going to be an ongoing factor so we suggest you make the probiotics, ACV, olive leaf extract, and multi-vitamin and minerals your first “permanent choices”, or in the case of the olive leaf extract, your semi-permanent choice, and then add as many of the other internal remedies as your finances allow (the herbs and spices would be our next choice). You really need to think of this as a long term investment in your health, not just a short term fix from your current sinus problem. At the end of the day though, it’s totally up to you. So what are you waiting for, get stuck into it and get rid of that horrible sinus infection right now before your head does literally explode. And at least once you do, you’ll be able to finally get some decent sleep and stop waking the dead with your loud breathing and snoring!